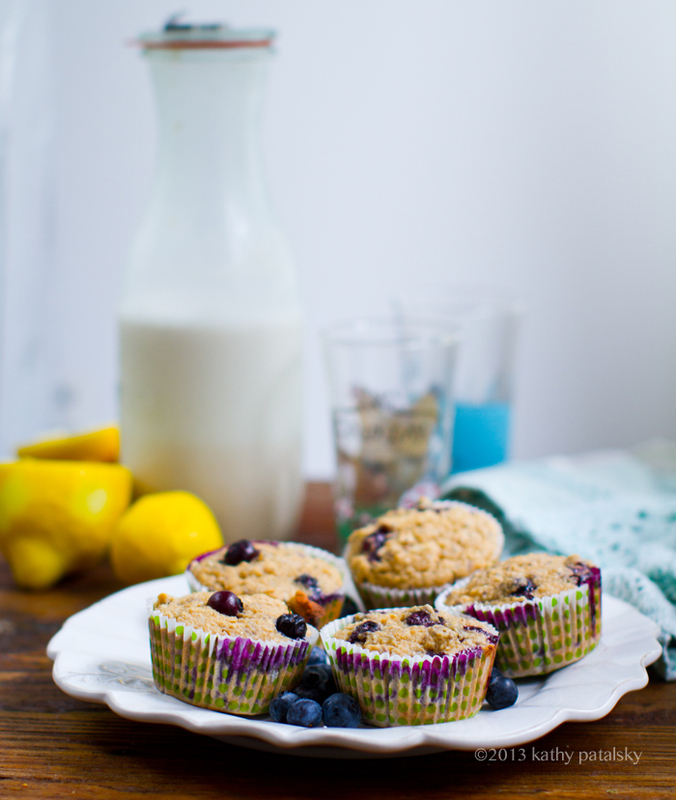 These Ginger-Lemon Fresh Blueberry Banana Oat Vegan Muffins popped out of my test kitchen this morning and I knew I wanted to post the recipe asap. 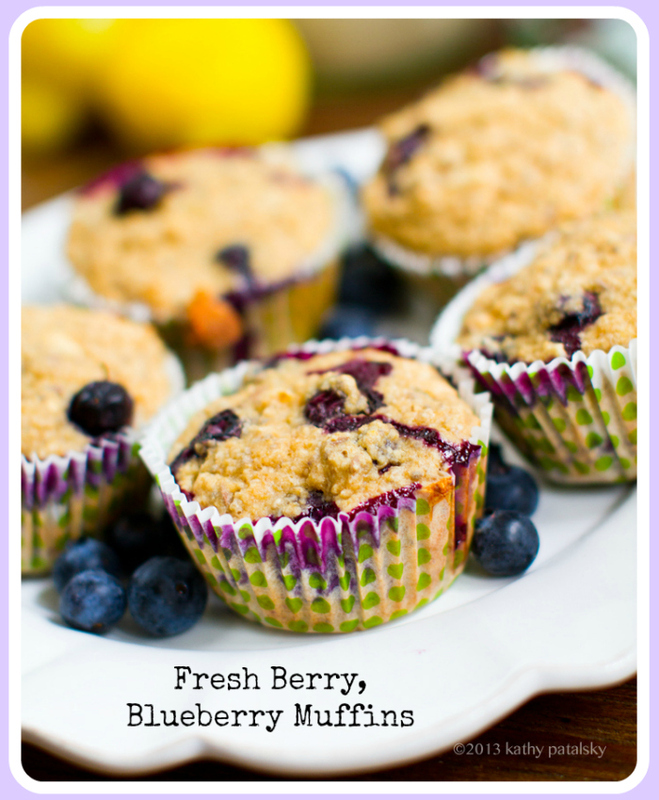 These tender, fluffy muffins are ridiculously delicious and healthy with just over 170 calories per muffin. Flavors. 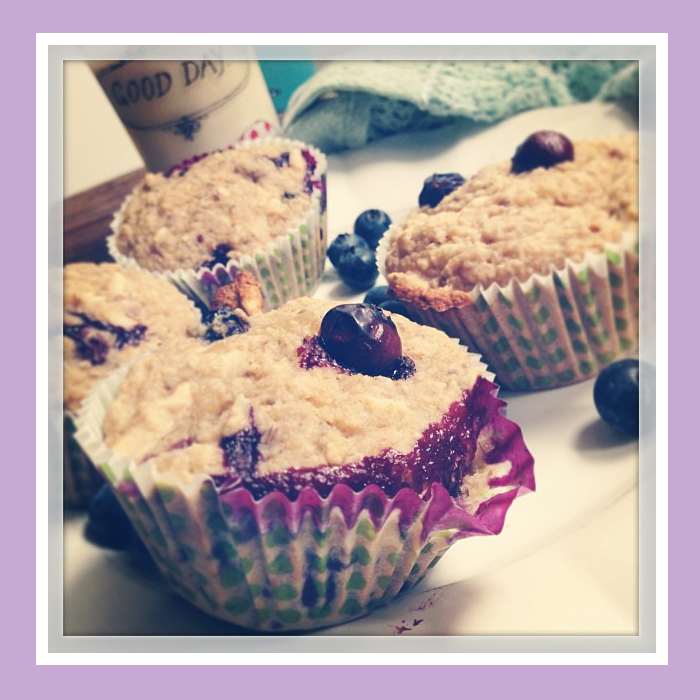 Fresh organic blueberries in each bite, all plump, juicy and sweet and swirled with purple-blue goodness. 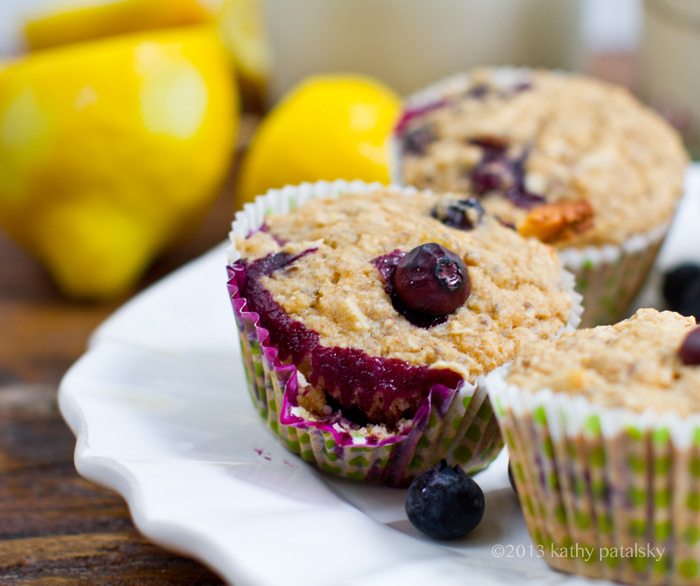 Fresh lemon and spicy-sweet caramelized ginger accents. Plus banana, oat and almond ingredients too. 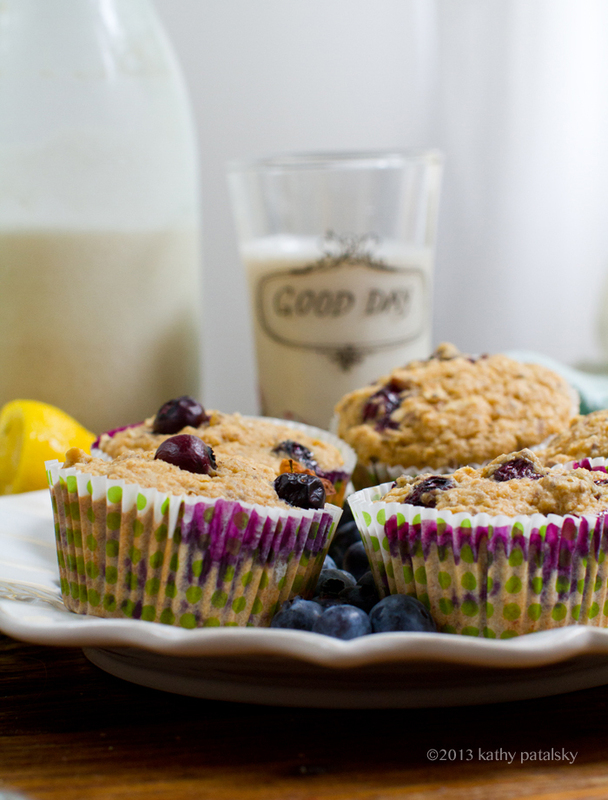 These vegan muffins will wow your family as a grab-n-go breakfast (grab two!) or just make them for yourself, freeze the excess, and reheat these gems all week long. 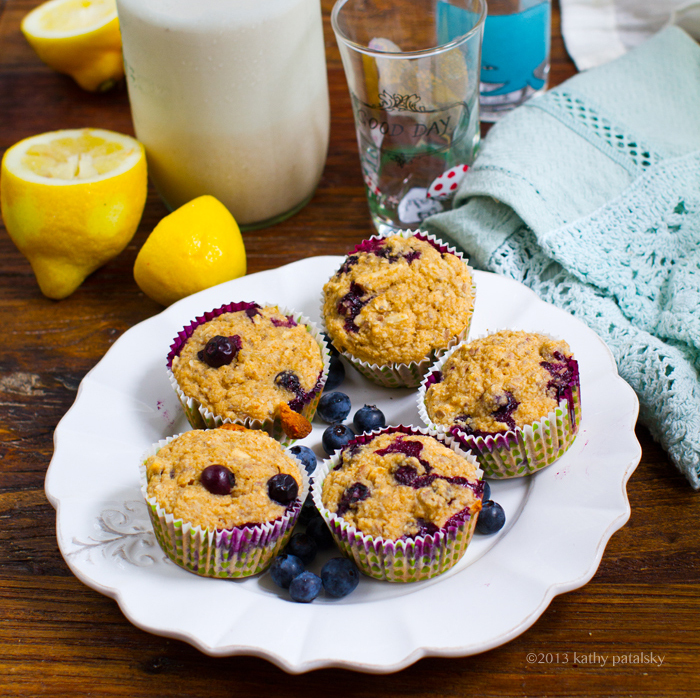 These muffins are actually flour-free since I process rolled oats in to my very own homemade oat flour (in seconds using my blender). 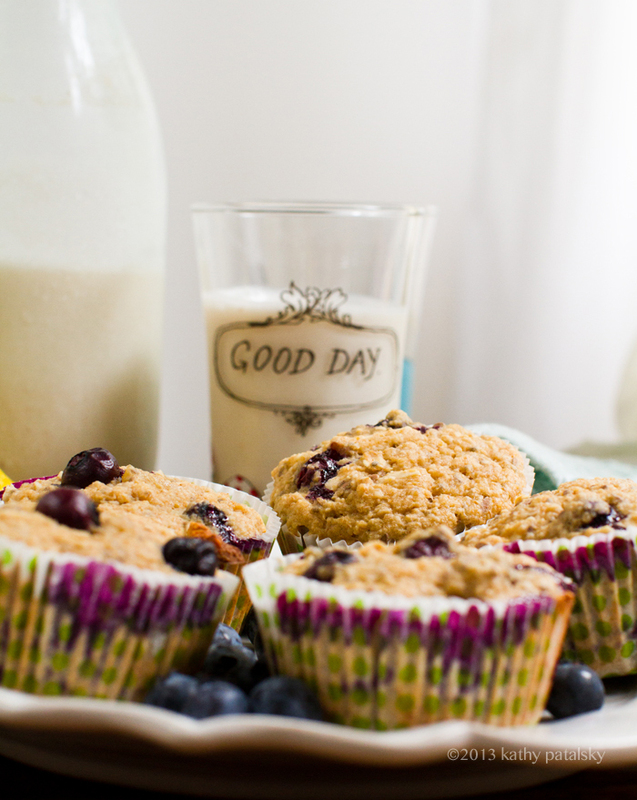 Each muffin is kinda like a to-go bowl of healthy oatmeal: fruit, nuts, oats, plant milk, flavor accents and sweetness. 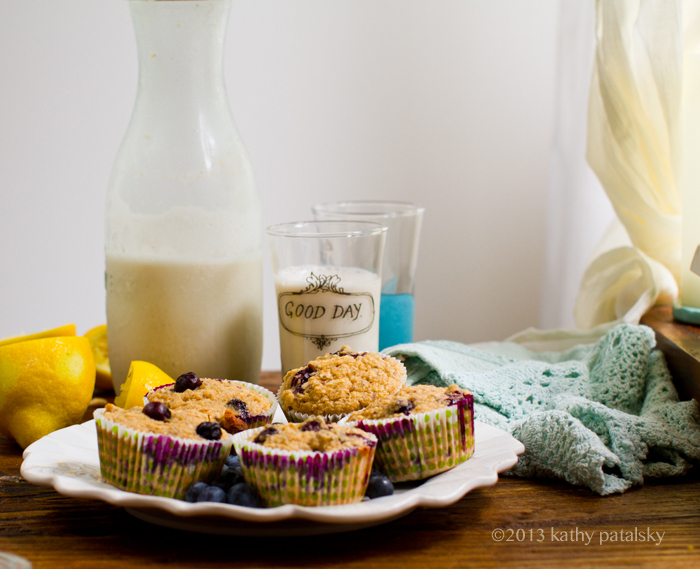 Make these muffins, pair them with some homemade almond milk, and have a very good morning..
Giveaways! Wow I just realized that I have THREE giveaways running right now. One for my vegan protein grab bag, one for a copy of Chloe Coscarelli's cookbook and one for a box of Vega One bars (6 winners there). And stay tuned because next month I have a HUGE contest/giveaway to announce. Very excited about this one. 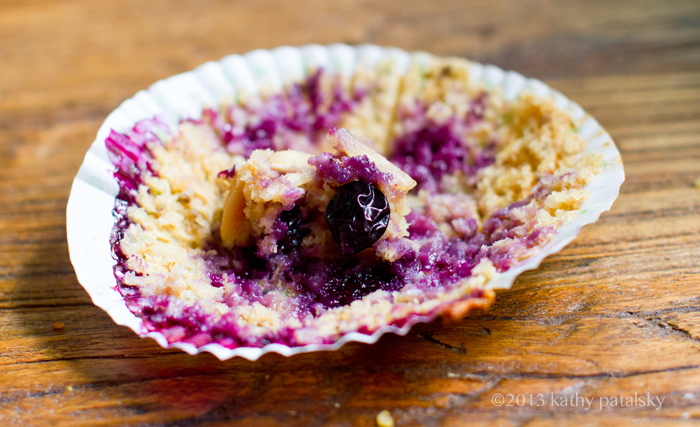 And the organic blueberries in this recipe were from the Farmer's Market. 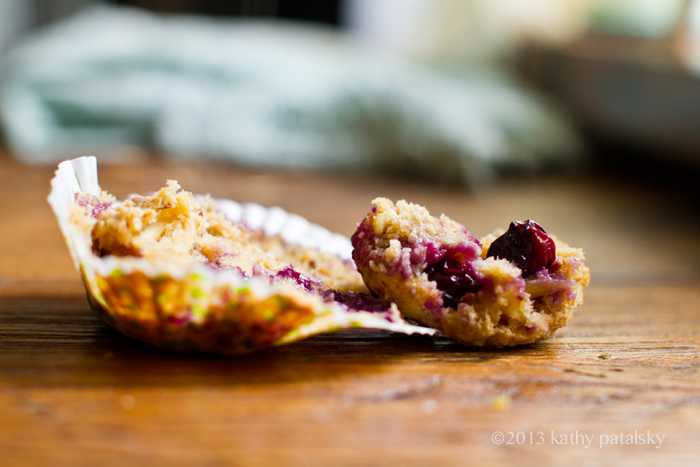 We bought little baskets and (after this recipe + plenty of snacking) they are already gone! 2. 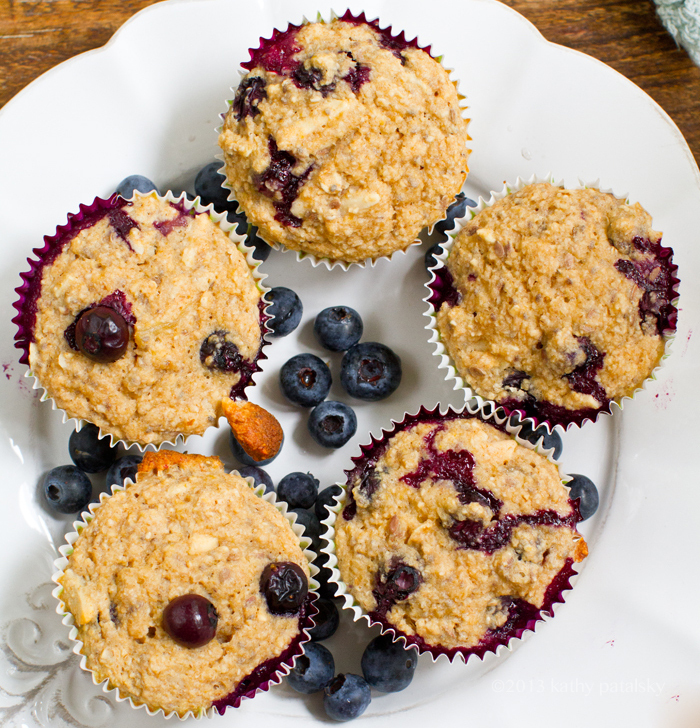 Using a blender or a food processor, start adding rolled oats to your machine at low speed (start with 2 cups) and blend/process until a fine oat flour forms. 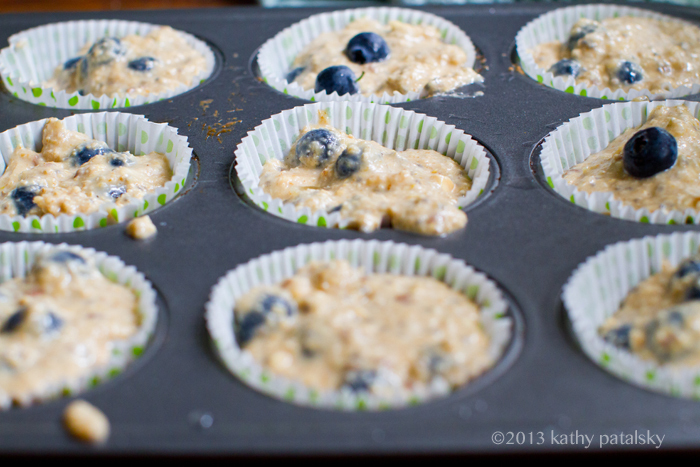 Keep adding oats until you can measure enough for 2 1/3 cups dry processed oat "flour." You can make a little extra and save it in your fridge for other baked good recipes if you'd like or just have leftover flour. 3. 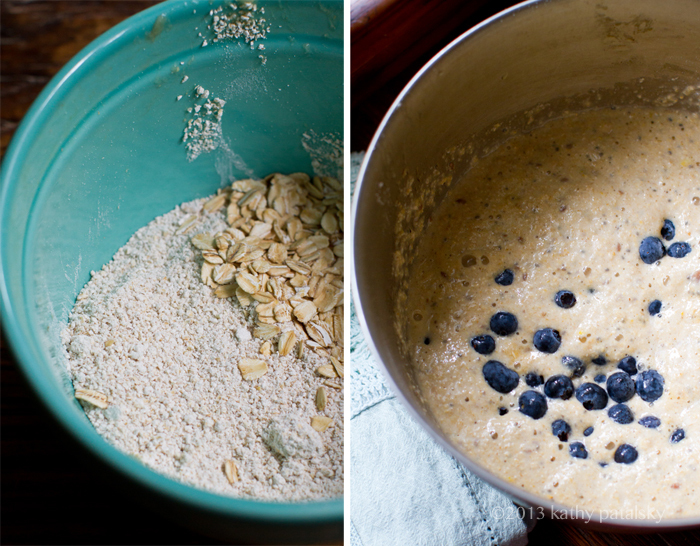 Transfer the 2 1/3 cups oat flour to a large mixing bowl and add the salt and baking powder. 4. 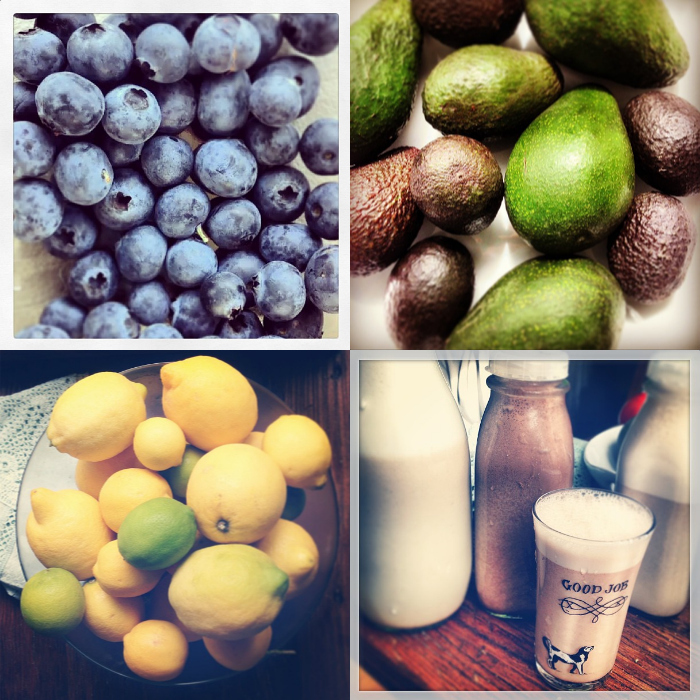 In your blender or food processor, add all the wet mixture ingredients and blend on low until smooth. 5. 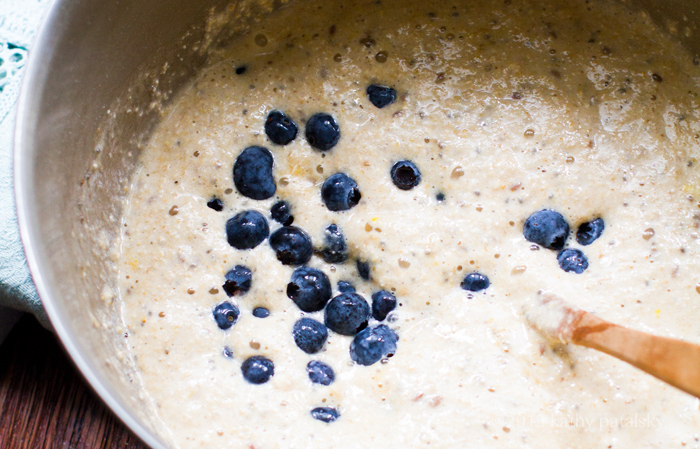 Add the wet mixture to the dry bowl and start stirring until a soft batter forms. 6. 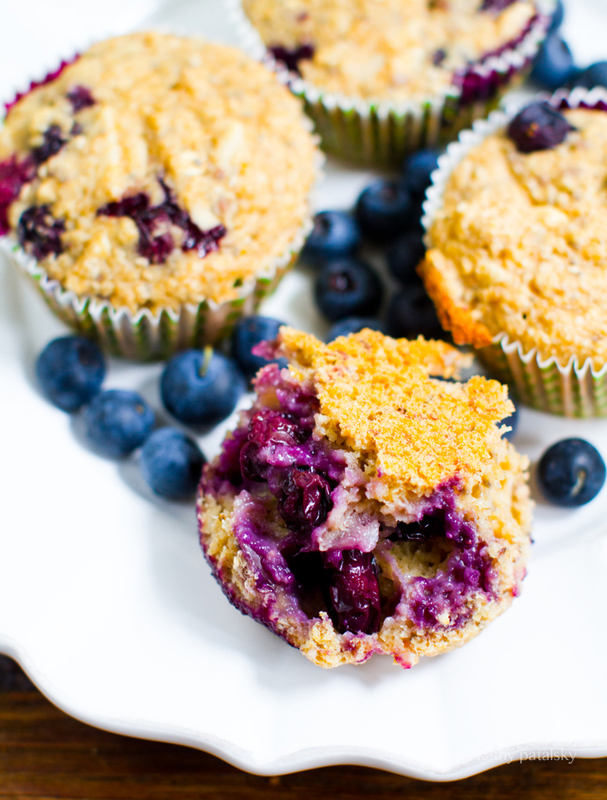 Fold in the coconut oil, almonds, ginger and blueberries. 7. 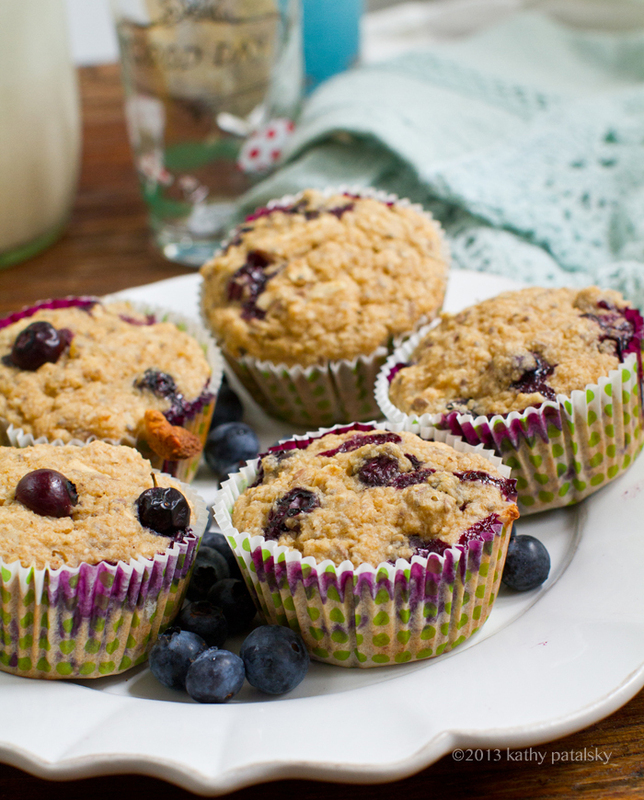 Pour batter into muffin tins and bake for 20 minutes or until the tops become browned and firm to touch. 8. Allow to cool 10-15 minutes before serving so the texture can set a bit. here is what the flour looks like. 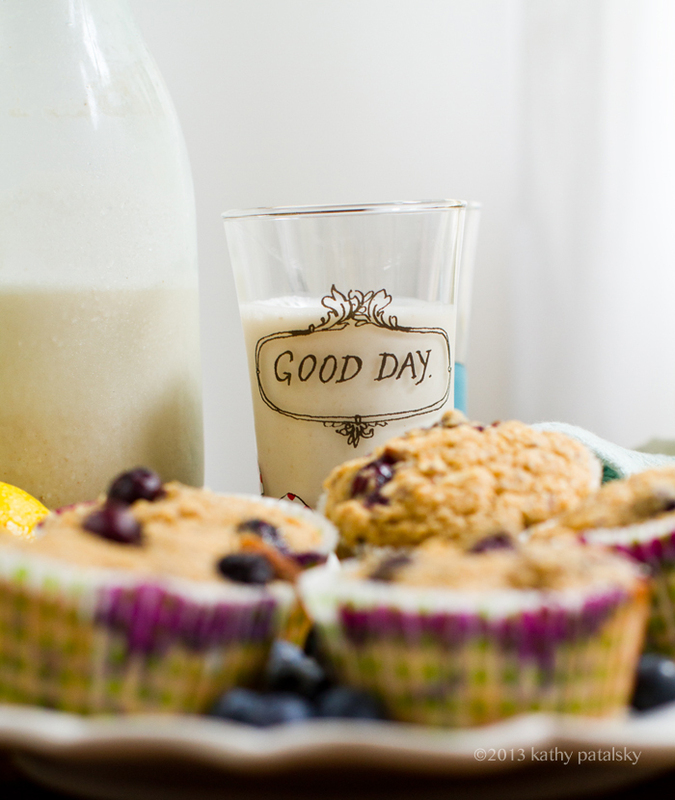 The rolled oats are what your process, the fine "flour" is what the rolled oats turn into after processing. This is your oat flour..